Manhattan – an island surrounded by the Hudson, Harlem and East rivers – is the most populated borough of New York City and an exciting metropolis that simply pulsates with life. Visitors are enthralled by an abundance of popular attractions including the Statue of Liberty, Central Park, the Empire State Building, museums galore, an enormous choice of Broadway shows and plays – and you can eat and shop ‘til you drop. 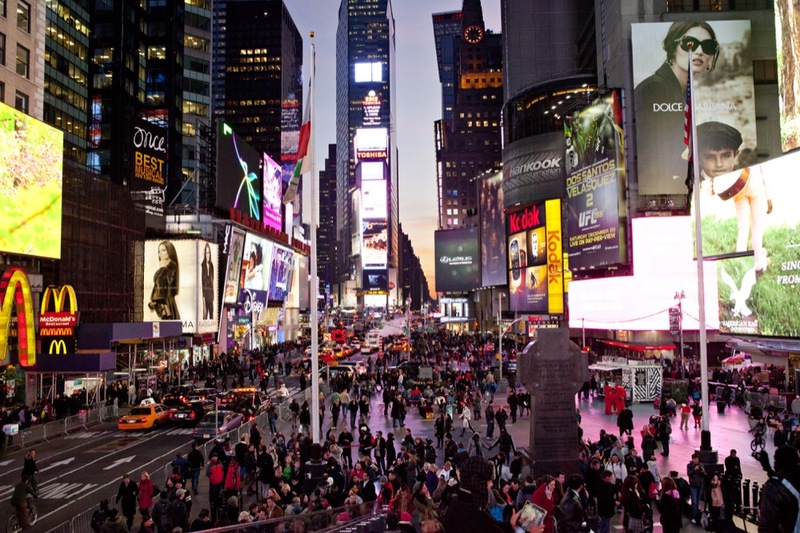 Manhattan continues to attract more than 55 million visitors per year and it may seem that they are all congregating in Times Square at the same time. This is the hub of Manhattan’s razzle ‘n’ dazzle, surrounded by imposing billboards with glittering lights, and the overwhelming spectacle demands unwavering attention. Towering skyscrapers adorned with advertising abound, and on the ground is a swirling maelstrom of people dodging yellow cabs and a never-ending stream of traffic, while buses inch past long, sleek-lined limousines. Police cars, fire engines and ambulances whizz past with sirens blazing, and loud pop music blares out from stationary vehicles caught up in the melee. Manhattan is truly a place that never sleeps and, for art lovers, it’s a treasure trove. Head for the Morgan Museum and Library on Madison Avenue at 36th Street and view Pierpont Morgan’s 1906 Library. Pierpont Morgan, an American financier, selected architect Charles Follen McKim to design a library to house his enormous collection of rare books and manuscripts. The exterior of the property, adjacent to Pierpont’s erstwhile home, features Tennessee pink marble, the blocks set with exact precision without the use of mortar. 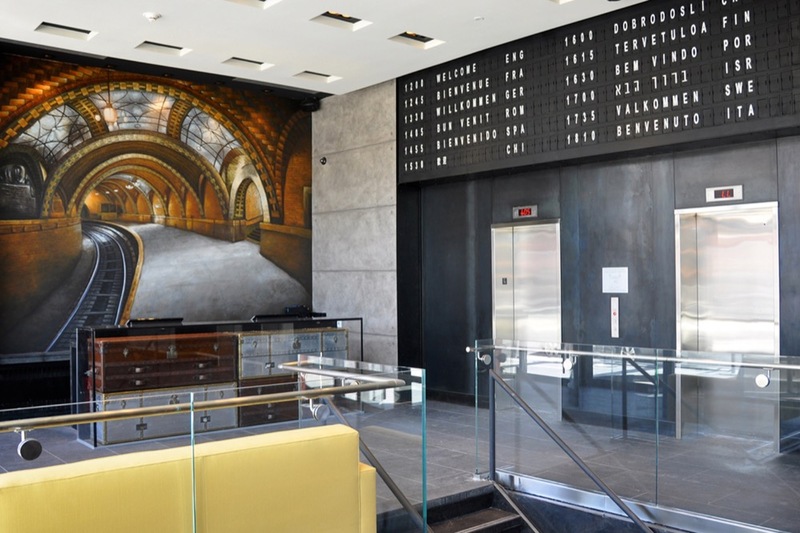 The interior of the library was restored in 2010 and the newly installed lighting illuminates the exquisite murals and décor. Sparkling chandeliers, ornate ceilings and beautiful pieces of period furniture reflect the grandeur of a bygone age. To learn more about the ‘big apple’, we wandered around the Museum of the City of New York on Fifth Avenue and 103rd Street. Exhibitions include ‘NY at its core’, which charts the city’s beginnings as a Dutch village and its emergence as a captivating and modern metropolis. The ideal way to see all of the landmarks, including the Statue of Liberty, Brooklyn Bridge, Manhattan Bridge and much more, is on board one of the Circle Line Sightseeing Cruises, which depart from Pier 83 at West 42nd Street. We selected the 2.5 hour ‘Best of NYC’: a fully narrated cruise that sails sedately past all the famous sights, and passengers take full advantage of the photo opportunities, getting up close and personal with the main attractions as backdrops. Or if you prefer to remain on terra firma, and are in the mood for some luxury shopping, make for Fifth Avenue and browse around Saks and Bergdorf Goodman. The enormous choice of designer jeans, bags and shoes should keep you entertained for hours. Or wander into Tiffany & Co and be prepared to go into a trance at the mere sight of those twinkling gems. If you’ve worked up an appetite struggling with all those shopping bags in tow and fancy a real NYC dining experience, head for Junior’s at 1626 Broadway. Founded in 1950, Junior’s is the home of the original New York cheesecake and, for those of us with a sweet tooth, it’s absolutely scrumptious. I also sampled a delicious pastrami sandwich and a vanilla milkshake with mountains of whipped cream and Maraschino cherry. After such a feast we returned to our hotel for a much-earned rest. 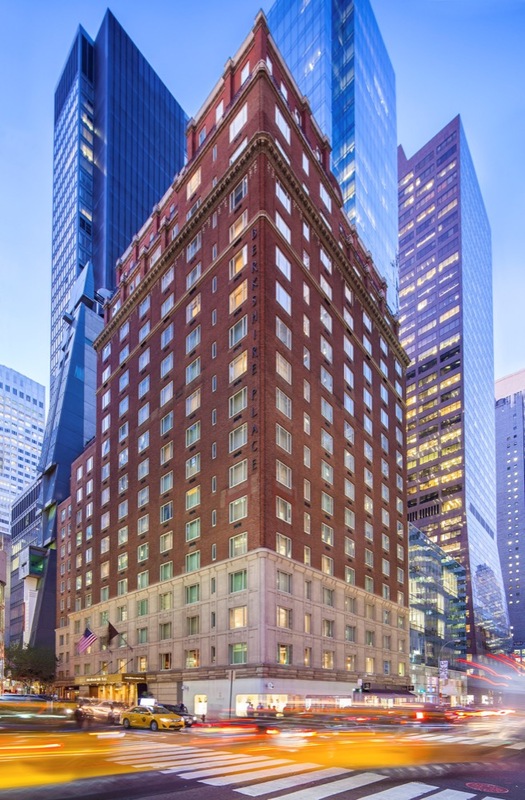 For explorers seeking a touch of luxury in a prime location, Manhattan offers an endless choice of high-end hotels, including the Omni Berkshire Place, located on East 52nd Street at Madison Avenue, which is steps away from Radio City Music Hall. We relaxed in style in the opulent Rodgers and Hammerstein suite, which provides more than 1,000 sq ft of lavish living space and features a 500 sq ft wrap-around terrace; this served as the ideal spot for a pre-dining cocktail or two while we admired the view of the Manhattan skyline. Rodgers and Hammerstein wrote their Broadway masterpiece ‘Oklahoma’ on this very spot in 1942 and the accommodation reflects the glamour of that era perfectly. The master bedroom features an enormous, ultra-comfortable bed swathed in the finest linens, a luxurious bathtub with a glass shower, and a separate powder room. Guests are welcome to dine ‘in suite’ or visit Bob’s Chop and Steakhouse on the ground floor. I sampled the succulent 14oz prime ribeye served with glazed carrot and skillet-fried potatoes, and accompanied by a bottle of the 2011 Silver Oak Napa Valley: it was a first class dining experience. 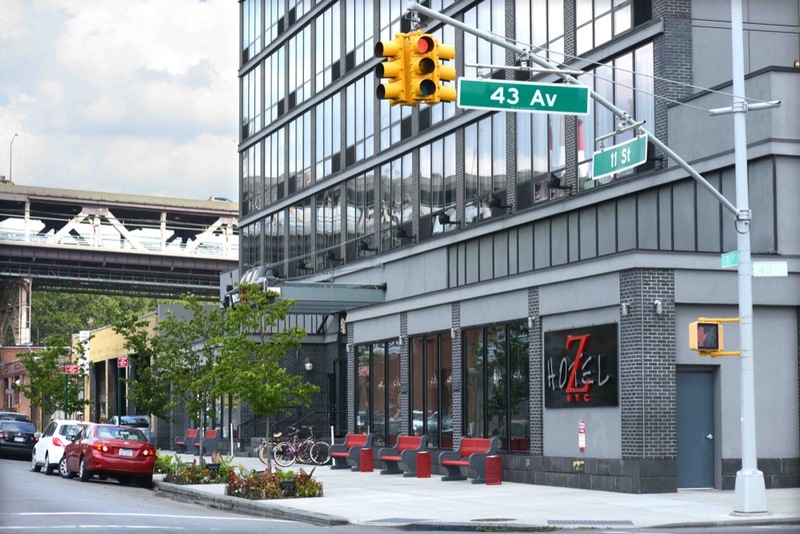 For those on a less generous budget, the Z NYC Hotel, located on 43rd Avenue, Long Island, Queens, is ideal. 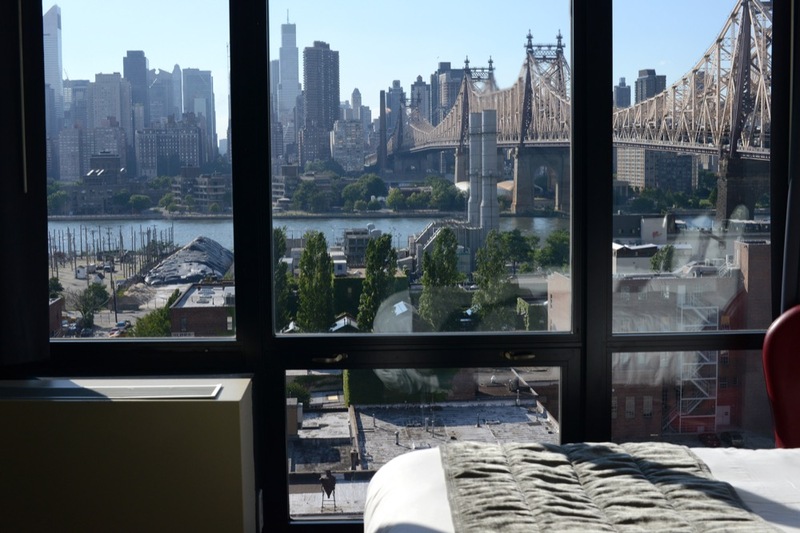 Steps away from Queensboro Bridge, Manhattan is within easy reach and the hotel provides a complimentary shuttle bus to the 59th Street Subway entrance (between Lexington and third Avenue) every hour from 07.00 to 23.00 hours. Guests are also welcome to use complimentary bicycles and a helmet, and chain/lock and cord for securing packages. The hotel accommodations are spacious and comfortable and we opted for a deluxe king room, measuring 290 sq ft, with a ten-foot-high ceiling and enormous windows with a direct view of the spectacular Manhattan skyline. Hotel amenities include complimentary international, domestic and local telephone calls and complimentary Wi-Fi. For our last dining treat, we made our way to Virgil’s Real BBQ Restaurant on West 44th Street, just a few steps away from Times Square. We devoured the tasty ½ rack of Memphis-style pork spare rib, dry-rubbed and hickory-smoked, which was served with aplomb. Or, for a riotous performance full of hilarity and high jinks, ‘The Play That Goes Wrong’, at the Lyceum Theatre on W 49th St, is a madcap comedy and a smash hit. For tickets visit www.broadwaygoeswrong.com or call +1 212 239 6200. Book a private transfer in New York with Blacklane for a reliable, punctual, first-class service. Prices are all-inclusive and guaranteed in advance, so you can sit back and relax, on arrival. Visit www.blacklane.com for more information.